This blend of 19 key vitamins & minerals has been developed specifically to help endurance athletes meet their nutritional needs, allowing training and performance to be maximised. It also helps boost your everyday wellbeing and is simply 1 tablet per day for maximum convenience. This product has been designed to be used by both men & women. The Science in Sport Multivitamin is a premium formulation designed to meet 100% of the recommended daily allowance for 19 vitamins and minerals. Lower quality multivitamins often under-dose or mega-dose nutrients, with potential harmful effects on athlete health. This formulation has been designed specifically for the requirements of endurance athletes, which are different for those not involved in regular exercise. 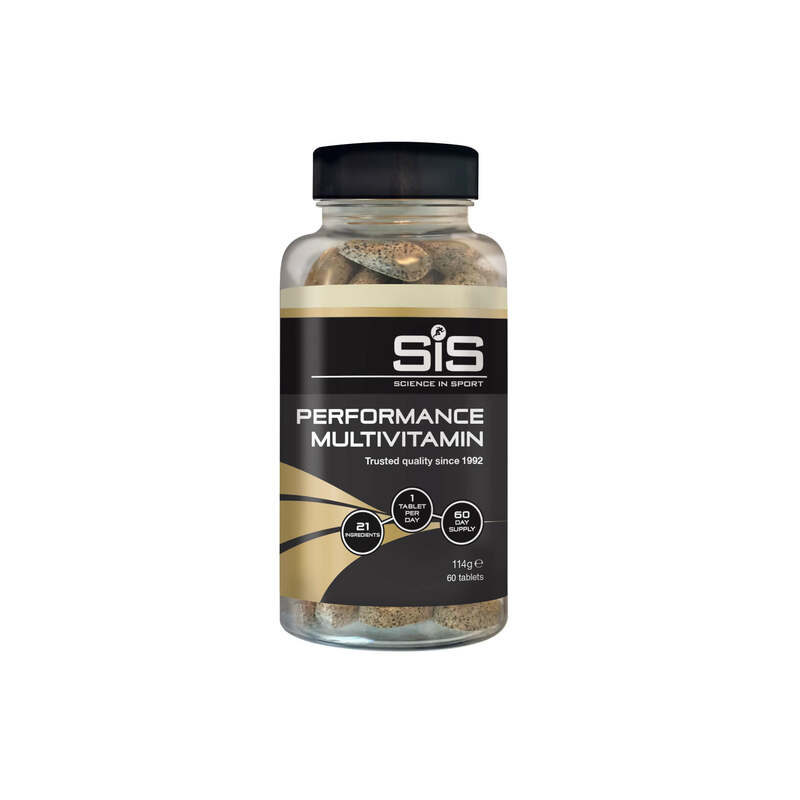 SiS Performance Multivitamin is tested under the Informed Sport Certification program. This approach involves testing every single batch of SIS finished product, which leaves the Company’s factory, screened against the 2018 World Anti-Doping Agency (WADA) list.